Pearl wants to know why I am charging my mobile in the night and not letting it get enough rest and sleep ! I decided to hop into this thursday challenge only because of the theme this week . MESSY ! Ah ! My greatest Resolutions!Yes!! . I Don’t think it could be more messier than this ! I had gone to the library with so much enthusiasm to get ‘Palace of illusions’ by Chitra Banerjee . Review of the book by Pal really knocked me off. But I could find only ‘Sister of my heart ‘. We were to go for a two day function and I was in one of my melancholic self when I miss my sister and brother the most. Anything to keep my mind engaged was welcome . I like Bengali literature mainly because of its similarity to Kerala culture . Sister of my heart is the story of two girls – cousins ( Sudha and Anju ) . I think it is story of Sudha more than that of Anju . Even though it is interspersed with fairly tales the emotions are so real and catching. Situations where you don’t know what to do. Instances where you decide to sacrifice yourself for loved ones and come up with nothing . Moments which reveal you can never walk back your life and you cannot relive it . I really got into the novel. I think it will take a few days to shake it off from me . The suspense in the novel is a bit shallow. Any body can guess it . And Sunil carrying the handkerchief all the way to America is a bit too dramatic. If he is a crook he would not find it important and if he realises the infatuation he will not let himself carried away . From what I felt his character is vague . May be I am not getting a full picture. The character I like most is Pishi . I despise people who want a woman or a man to spend their life alone and in doom because some thing terrible happened in their life . I think it is upto individual decision . We don’t have any right to say other people should spend their life in darkness with out any one to hold on to. And I just can’t understand how a woman cannot recognise her husband whom she married out of love . I am not giving the plot away . But I can’t help wondering . Last week I met Ruby’s science teacher and she told me he is one of the most gifted artists in her class. She specifically talked about the splendid ideas in his paintings . I could see him beaming and cannot thank her enough for her kind words. Besides all the compliments from the family Ruby always thinks of himself as a poor artist . Add to it off hand comments from class mates and problems with fine motor skills. Now that he has overcome it his ideas are taking beautiful shapes . And my heart fills with joy to see his paintings. He is making a wide variety of things with the play dough as if there is magic in his hands and it has become almost impossible to beat him in jig-saw puzzles. Last year I was worried what his skills were and how I should support him. I was lost . Then I decided to give him time . To let him free so that his interests would surface on its own . Now when I ask him his opinion about painting classes he confidently tells me he wants to follow his drawing master in school for a while . Pearl is convinced that we are all reading English incorrectly.She cannot understand why we are saying ‘fone ‘ for ‘pone’ and ‘filips’ for ‘pilips’.She even says her phonics book should be read as ‘ ponic book ‘ and not otherwise . She is happy that she has finally discovered it and saved the mankind from wrong pronunciation. 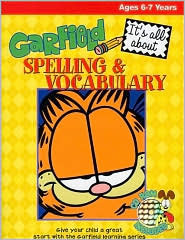 So today we are reading a lot of ‘ph’ words and stories and Ruby is playing ‘Garfield’s spelling and vocabulary’ CD with her. Ever since I learned Ruby has this problem I have been raking my brain to remember how I learned reading . I have a few images of my parents and Aunts reading to me from books . Then it is me reading alone . I don’t even remember reading to my sis or bro. From what I understood while talking to my friend who is teaching KG, only the individual sounds and initial word families are introduced in detail to the kids . From there most of the kids or all most all of them take it themselves naturally. The spelling differences and exceptions and all will be learned unknowingly in due course. Parents can facilitate this by reading to the child and encouraging them to read themselves . But this does not happen for a dyslexic child . He always depends on the sounds for the spelling . So we have to make them familiar with all word families and exceptions . There are so many rules for the exceptions as well. In short , teaching phonics will help a normal and gifted child to learn to read more easily and quickly while it will help a dyslexic child to overcome his difficulty at an earlier age . Now that Pearl is also hitting the reading age I have been thinking whether I should teach her phonics or not . Reading and writing is something she is very interested in . But none of us learned phonics to start reading .Then my friend Urmi also came up with the same question. Here in this post I am just thinking out loud . If any of you can throw some more light on the topic you are welcome. Do not scold the child. Maintain a calm environment . Do not try to teach . It has to be done earlier . You will only confuse the kid. Just revise. Give lots of veggies and fruits to eat . Enough water and juice to keep the brain hydrated . A small nap or a brisk walk to recharge . Break every 45 minutes. Double check the pencil box, instrument box and other things needed. Maintain a short list of frequently mistaken questions and words for quick review in the morning . I have never tried to explain to him how any gadget works or which are the buttons that are to be used . But he knows them all as though he has got the manual inside his head . Be it a mobile or a camera he is most relaxed while using it . He never thinks a lot about the lighting or the posing . He is a natural . So when I want to take a scenery I just give him my camera and ask him to take a snap for me . He has yet to explore this taste and talent . It was keeping that in my mind I posted him the official photographer of my blog . I dont know where this will take us . But I like to dive into the unknown and see what comes up.